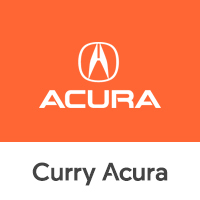 If you’re looking for one of the best selections of high-quality auto parts in Scarsdale, New York, look no further than the auto parts department here at Curry Acura. Not only does our parts department carry a full line of official Acura parts and car accessories, but we also have a team of knowledgeable and friendly professionals that are ready to help answer all your car parts questions. Looking for premium auto parts you can trust? Submit a parts request today! Personalize your Acura with 10% off Genuine Acura Accessories! Does not include labor or installation. *Coupon not valid with any other offer. Must present coupon at time of purchase. Limit one coupon per person. Coupon does not apply to prior purchases. Other restrictions may apply. In addition to the incredible parts department here at Curry Acura, you’ll also find an Acura-authorized tire center stocked with top-of-the-line Acura brand tires for every season. Need a paint touch up or collision repair after a recent run-in? Our body shop has the equipment and the expertise to help take care of all your collision repairs big and small. To learn more about everything we have to offer, including special offers on auto parts and service, get in contact with our Scarsdale, NY Acura dealership today. At Curry Acura, we love giving our customers every possible opportunity to save. Whether through discounts on auto parts or ongoing service specials, we have more than one way to help you keep costs low while keeping your Acura vehicle running at its best. Thanks to our state-of-the-art service center, where we use only official Acura parts and certified Acura mechanics, giving your car the care it deserves is easy when you visit our dealership near Yonkers, NY. Swing by today or give us a call to learn more!